Through conversations had during three years of development, some content was removed from the game. 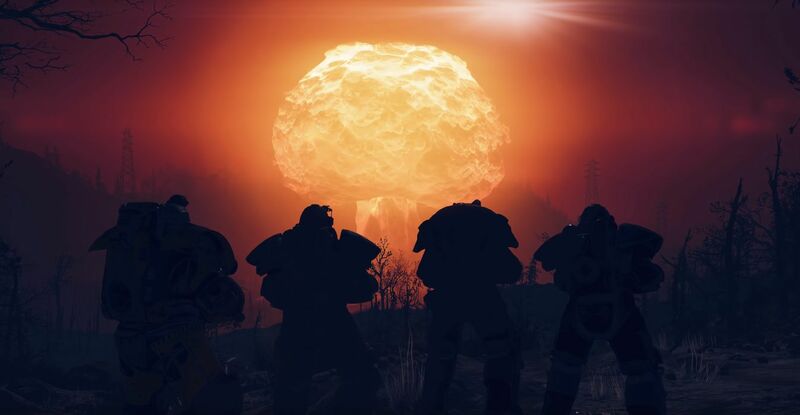 With tensions up and nuclear armament conversations on the table in current times, a timely question during a Fallout 76 developer roundtable focused on how the team approached content in that regard. The specific question was "what's it like to design a game like [Fallout 76] in an era of renewed nuclear tensions" and whether or not it affected the design process. The developers started by pointing out that three years ago, when Fallout 76’s development started, we were in a “different place” regarding current events. "It's definitely awkward to be joking about this stuff, I'm not gonna lie," the developer responded. "But at the same time Fallout's universal has been one of dark humor and sort of playing on these themes. It isn't like it's a new thing for Fallout, the nukes. We drop one in [Fallout 3] on the city. So, there's always an internal debate. We've actually had to rethink some concepts in the game itself that's not just related to nukes." When the follow up question was about revealing the concepts or content that were taken out, the group was pretty hesitant to give an answer at all, but one started by telling us of a time that music was removed. “We pull a ton of songs and these esoteric old songs and that's a whole process we go through,” one developer started to explain. “So you sort of listened to them, but there's so many of them and then we're all playing the game and one the devs was like 'have you listened to the lyrics of the songl'? And we’re like 'oh my god, that song goes away'." There was another “thing” a different developer brought up where a designer asked if he was aware of something that was in game and it was subsequently taken out, but, again, no details on what that thing was. When the Fallout 76 B.E.T.A. goes live, players will be able to explore the world and lore themselves. Xbox One players can start on October 23 and PC or PS4 players will have access on October 30. Check out our full Fallout 76 hands-on impressions for other details and check out the Shacknews and GamerhubTV YouTube channels for exclusive interviews, walkthroughs, gameplay, and more. Wish they had let us know what the inappropriate lyrics / songs were. Blood and Gibbs left untouched!